Garrett’s latest generation Variable Geometry Turbo (VNT) DAVNT (Double Axle VNT) turbocharger is valued in Commercial Vehicles for its ability to increase fuel efficiency as well as engine power density while meeting emissions through Exhaust Gas Recirculation (EGR) control. Variable Geometry DAVNT (Double Axle VNT) turbos, available in different sizes, are especially suited to diesel engines with displacements from 2.5L to 15L – from small delivery vans to large highway trucks and off-highway equipment. The Variable Geometry Turbo mechanism in DAVNT, just as in their passenger vehicle counterparts, regulates the exhaust gas flow in direct response to the engine requirements through a row of moveable vanes positioned around the inlet of the turbine wheel. These turbine nozzle vanes are supported by two axles for enhanced reliability and durability – up to 1.2 million km life cycles. Garrett’s patented pressure balance channels exhaust gas to both sides of the vanes – thereby preventing strong axial loading and reducing friction and wear while enhancing controllability at the same time. DAVNT Variable Geometry turbos enable independent control of air-fuel ratio and EGR rates, helping CV manufacturers meet emissions targets in NOx and particulates without compromising on performance, fuel efficiency and enhanced braking capability. 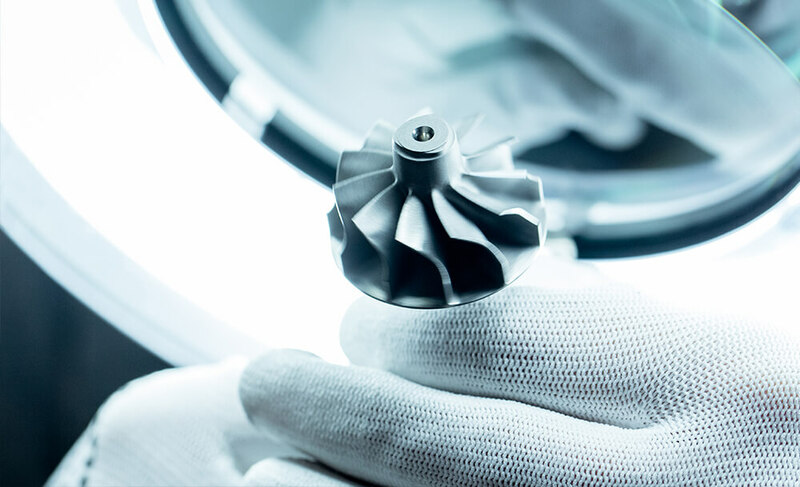 Compared to fixed geometry turbochargers, Variable Geometry turbochargers deliver increased engine power and torque output with a reduction in engine backpressure, resulting in better engine performance, better driveability and reduced fuel consumption. The turbo technology also contributes to enhanced braking capability. For engines using decompression brakes, Variable Geometry Turbo mechanism allows boost to the engine during braking, resulting in better braking experience, reduced brake wear and tear, and thus improving vehicle productivity and lowering operating costs. The technology was first launched in 2000 on DDC Series 50 engine that was equipped on the NABI bus. Since then, hundreds of thousands of Variable Geometry DAVNT turbos are in operation around the world – both on and off-highway – from small 3.0L Fiat vans, to 5.2L and 8L Hino trucks and heavy-duty 13L Iveco vehicles. In off-highway, this technology has been adopted by John Deere for a wide range of applications of their Tier4 9L engine. In 2010, Garrett launched second generation Variable Geometry Turbo DAVNT, featuring cambered vanes and an improved turbine wheel design that improved fuel consumption while enhancing low-speed torque and maximum power capability. In the same year, Garrett launched a DAVNT application for US medium-duty trucks incorporating the ball bearing technology, an innovative bearing technology that further improved both fuel consumption and engine response. Moving forward, Garrett engineers continue their focus on extracting gains in fuel efficiency, power density and reliability through improvements in aerodynamics and kinematics as well as greater adoption of ball bearing technology. 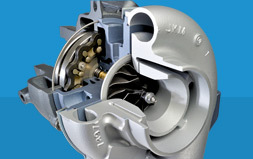 With engine downsizing becoming more commonplace as commercial vehicle engine makers pursue reduced fuel consumption, Variable Geometry turbochargers will be deployed more frequently, in both mono or Two Stage configurations, to facilitate increased engine power density without compromising transient response and driveability.